Hi, In your image http://img99.imageshack.us/img99/8913/imagen3rr4.png I think the "Salida del sistema" needs to be at "M-Audio Fast Track". Also, if you go to system preferences, and click on the "sound" icon, I think it should also show the M-Audio device if you want to hear all sounds though the M-Audio. Cheers. Hi Steve, Thanks for the reply. I've just purchased the TNT subscription which is downloading as I type, so I'm hoping I can see the September issue, even though it's now October? If I need to pay extra to see previous months, I'm happy to do that. I did have a quick look at the grid editor in Ultrabeat. From my brief look It seems beats are going to be exactly on the beat- I'd like them not to be, and the other thing is I have (and love ) EZ drummer, so I'm hoping to use it. I don't think I can use EZ drummer within Ultrabeat? I think the hyper edit is the way for me. I just got a bit mixed up with moving things like hihats just a wee bit. Old dog and new tricks! Anyway, I'll wait for this download and watch the tutorial. For a newbie like myself, these tutorials are great. Pretty good price, especially for us in the UK with the dollar rate being in our favour at the moment! Cheers, and thanks again for the reply. [quote:21312]:)If you're new to MVP, check out the Mastering Logic and Environment videos they sell....excellent resources...got me up to speed quickly after switching from Sonar to Logic about 3 months ago. 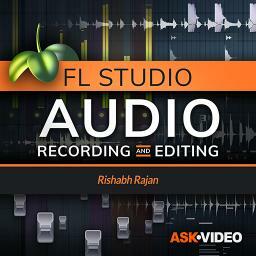 [/quote] I have bought the Mastering Logic series, and today the TNT tutorials as well. That's more than enough for my old brain for now! You are right though, the Mastering Logic has definitely helped me get out of my Cubase ways. Cheers. Just to add I'm now missing xhapters 1 to 9 inclusive too. Original topic post is from logic studio 8 - basic tutorial to get audio/midi started? Re: logic studio 8 - basic tutorial to get audio/midi started? Hi Adrain, I'm nearly the same as you. 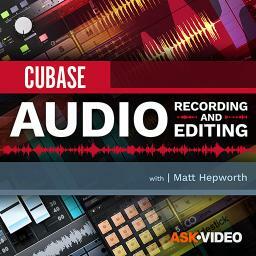 Cubase since year zero, new to Logic 8. (Been a mac guy for years though- come on where'ce you been!) Anyway, on a recommendation I went for the "Mastering Logic 8" tutorials. I found them very good. (Also with the stirling/doller rate they're VERY good value!) 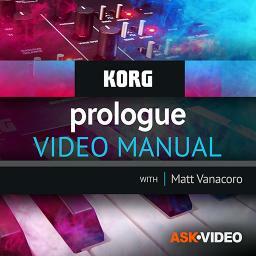 I did read through the getting started manual just to get a grip on logic before looking at the tutorials. After getting the Mastering Logic 8 tutorial, I voted with my wallet and bought "Logic Tricks and Tips" which really helped me in building a drum map. Anyway, enjoy the world of Macs! I think you just open another song. You'll get a dialog box asking you if you want to close the current song. If you tell it not to close the current song, you should have 2 projects open. I *think* this is correct, hopefully someone will be along shortly who can tell you for sure! Cheers. Original topic post is from Stems...?